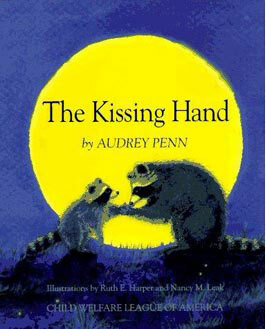 Chester Raccoon is going to school, but his mother teaches him a way to keep her with him even when he’s away, all day. Ready, Set, School, by Jacqueline Mitchard. 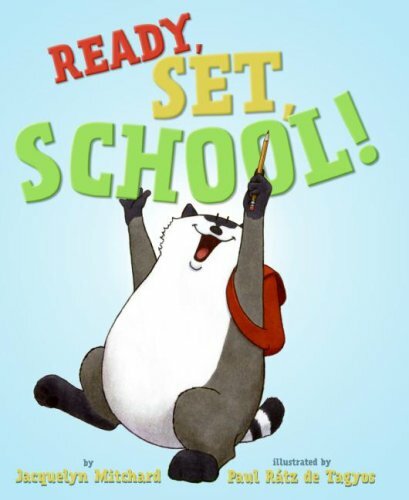 Rory the Raccoon is ready for school whether his parents are ready to let him go or not. 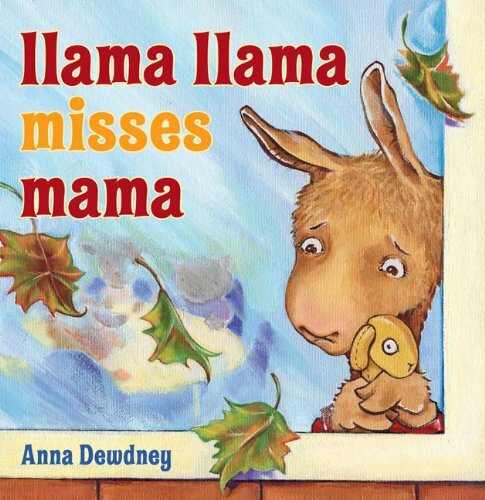 Llama Llama Misses Mama, by Anna Dewdney. 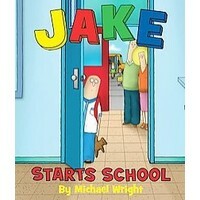 Jake Starts School, by Michel Wright. Jake holds on tight to his parents on the first day of school, and so misses all the fun that his classmates are having. At the end of the day, the teacher convinces him to join the class. 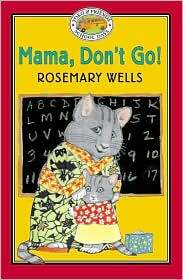 Mama Don’t Go, by Rosemary Wells. Yoko loves kindergarten but doesn’t want Mama to leave. Then a friend at school shows her that mothers always come back for their children. Mama and Baby Bear find a way to reassure each other while they are separated, briefly. 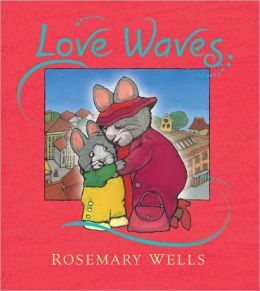 Love Waves, by Rosemary Wells. While Mama and Papa are at work, they send “love waves” home to their children to reassure them of their love. 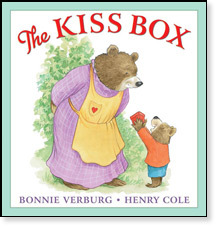 Don’t forget that, once the trauma of the first day of school, the Hoboken Library is a great place to bring your child after school for beginning reader programs such as the Reading Dogs and Book Buddies. Also, the first Saturday of every month is a day for family programs and we’ve added an extra session to most Saturday programs so that there’s room for everyone to join the fun. Good luck to you and your brand new SCHOOL CHILD!